Should you own your very own restaurant or just be the financial manager of the restaurant, an ideal drop safe can really help to increase the safety of your money. The drop safe does have a few negatives, but these are not really relevant when it comes to keeping your cash safe. The drop safe was designed for mail at first and it can be set up close to your door to allow the mailman to put your mail inside. It still does this very well, but with mailboxes now centralized at the post office, the drop safe has lost some functionality, but when it comes to working with large sums of cash, this can be a quick and effective way to store the cash in a safe place and render a break in useless. The drop safe will also allow you to give the key to the company that transports the money and you will be able to put up a sign that states: “keys to the safe are not held on the premises”. This might not seem like much, but it will dissuade a few burglars to look for another target. I have set out to look at drop safes and see how they can be beneficial to restaurant owners. I also talked to a few owners who already have these affordable safes installed and none of them have regretted the decision and they are more relaxed when they are not at work. With that being said, let’s look at the 4 reasons the drop safe will benefit a restaurant owner. After cash up in the evenings, it does take time to put the money in the manually operated safe and this could make you a target, but when you have drop safe installed, you will be able to eliminate this risk and the cash can be stored in a matter of second to give you more peace of mind. Other items and documents can also be stored, but they might take a little longer to gain access to and therefore, I do not recommend storing your firearms inside these safes. 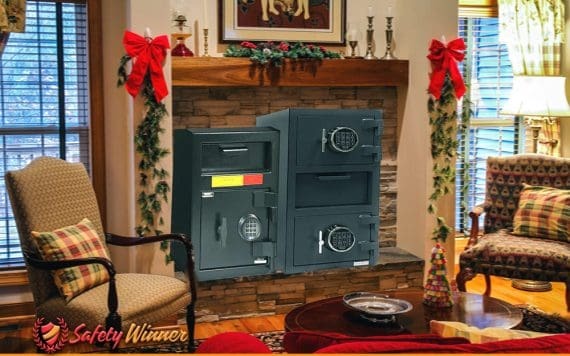 The design of these safes is special and unique and unless you prepare for the safe, it will be a new surprise and it will definitely be harder to get into. With a unique top opening, no one will be able to stick their hands down and access the cash inside. This could really dissuade intruders from trying to break in and after one attempt, they might spread the word and your restaurant will be safe again. By having lone access to these safes, you will control everything that goes inside and needs to be taken out. This will improve the trust between employers and employees and allow you to relax a little more when you are not present at the shop. With lone access, you will also be able to see if someone has tried to steal anything and they will need your permission and consent before entering the safe and removing anything. I hope that you now have a better understanding of drop safes and how great a benefit they can be to any restaurant. Should you be a restaurant owner, I would highly appreciate your opinion on this topic and any other suggestions of keeping your cash safe from a burglary.